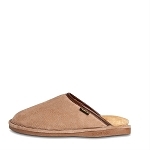 Our collection of Old Friend Moccasins and Slippers for men is a true testament to our quest for ultimate foot comfort. Whether your style preferences lend themselves to a step-in slipper with 100% sheepskin lining or a men's scuff with a thick sole and genuine full grain cowhide trim, we carry the footwear you never want to take off. 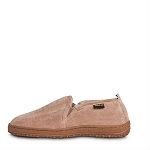 We even carry an excellent range of moccasins in the hard-to-find 5E extra width. 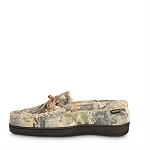 Browse through our Old Friend Moccasins collection below and choose your favorites today. At Moccasins Direct, you get free shipping on every order over $75, plus valuable reward points that provide even deeper discounts off our already low prices on future orders.